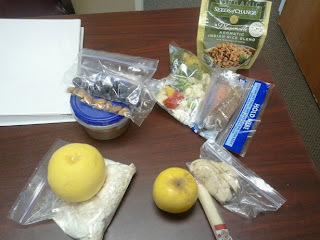 Recipe for Fitness: The Preparation Begins... 58 Days Til Cruise!! The Preparation Begins... 58 Days Til Cruise!! Counting down!! 58 Days until we set sail... which means 57 days until we leave ;-) Time to start making the tweaks. If you follow my daily coolers, you might notice some subtle changes to their contents. The foods are pretty much the same, but portions and proportions are undergoing an adjustment. 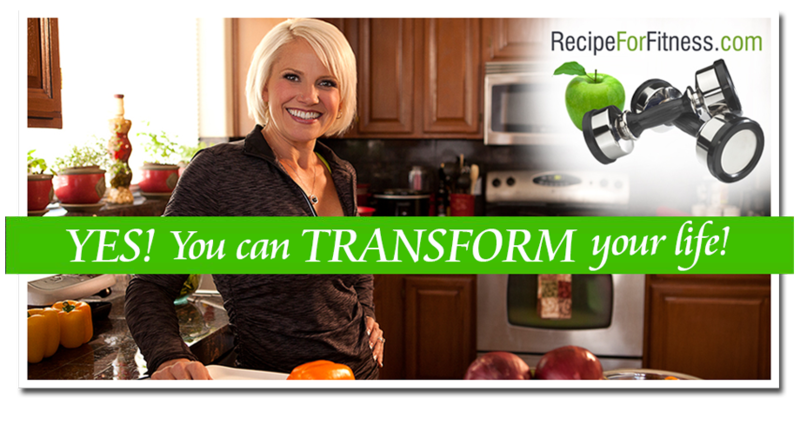 I'm increasing my fat, and reducing my carbs, and switching them up & when I have them. Since the figure competition, I've been in maintenance mode, but with vacation headed my way I'm going to do everything I can to be ready for it. What kind of dietary tweaks am I making? You'll see less greek yogurt (boo! ), and more protein pudding (yay!). Less granola, more veggies. Less fruit, more veggies. About the same protein, maybe smaller portions. Beginning next week, no evening starchy carb unless it's following exercise/workout. My fats are also changing, typically I put 2 Tbsp ground flax in my oatmeal - that's now 1 Tbsp, with more fat throughout the day. Minor changes make big differences. I doubt very much I'll need to reduce my calories, but will monitor my progress and do it if I need to. Today is the first day I've swapped out my beloved greek yogurt for protein pudding - I had thought it would be a wrench - I really, really love greek yogurt, lol! But I had forgotten how much I love my protein pudding! Ha! Yum! If you're using the Beverly International UMP, this is my recipe, with any other powder, remember to add only enough liquid to thicken it, then blend well and chill. Blend well (I use a Magic Bullet) until smooth. Pour into container and chill several hours. So why the change, can you explain what you want to accomplish? I'm kind of doing that too, more protein, less carbs and good fats. Want to knock some fat off and pretend I'm training for a figure competition. Good stuff that I've picked up from you!! And, happy thoughts to you regarding your shoulder. The protein pudding recipe is for one serving, yes? Do you adjust the measurements if you want to make more than one serving? Thanks! Those blueberries in the pudding look pretty good! Why are you cutting out greek yogurt? To get more protein from the pudding than is in the yogurt or is there something about the dairy? Just curious. Love the site! I just recently started following your blog. So far LOVE IT!! Question on the protein pudding - do you mix this up before you leave for work and throw it in your cooler or do you mix it a few minutes before you plan on eating it? 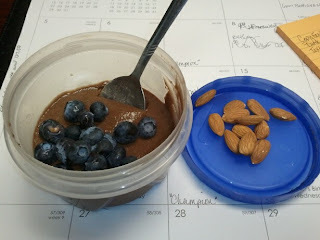 I realize this post is almost a month old, but figured I would let you know that I tried the protein pudding and LOVED it!!! I will definately be making that again. It helps to mix up the nightly protein shake. Thanks!